Joseph Labelle was born in Menominee, Michigan on 27 December 1885. 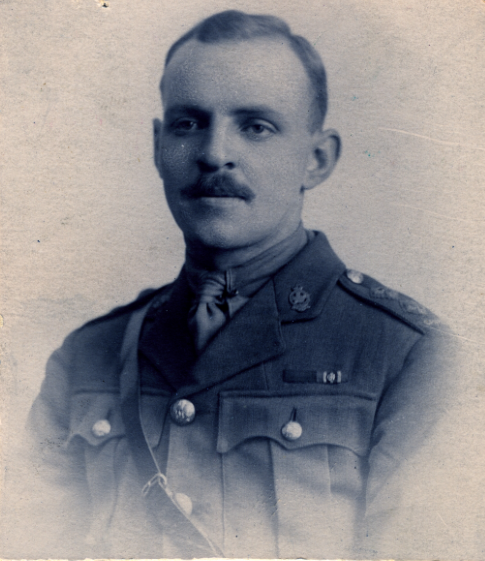 He enlisted at 28-years old very soon after war broke out, his attestation papers showing the date of 20 August 1914. At five feet five inches tall, he was roughly average height for his age (the minimum for the Infantry was five feet three inches. His trade prior to enlistment was listed as ‘electrician’, which was a relatively modern new calling for the time, with the majority of Canadian homes not being electrified at the time. He served honorably in the ranks of the 14th Battalion (Royal Montreal Regiment) Canadian Expeditionary Force, eventually rising to the rank of Sergeant before being granted a commission and reaching the rank of Lieutenant by war’s end. 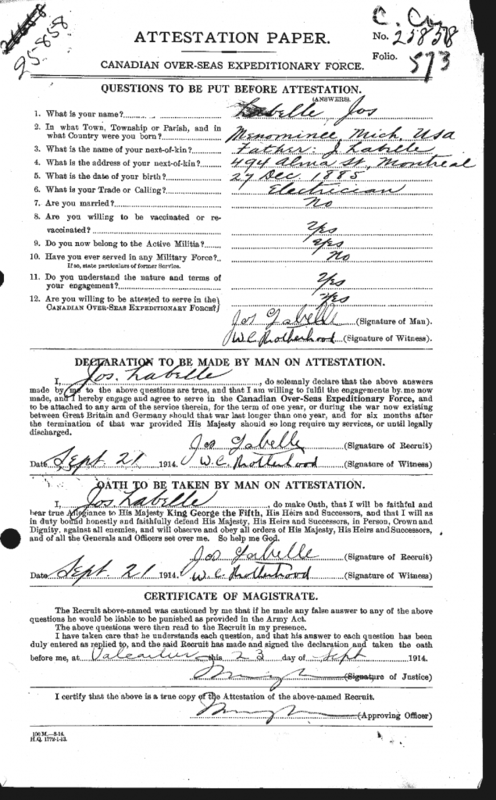 This page has been prepared by the volunteers of the RMR Museum to help the family of Joseph Labelle learn more of their ancestor. 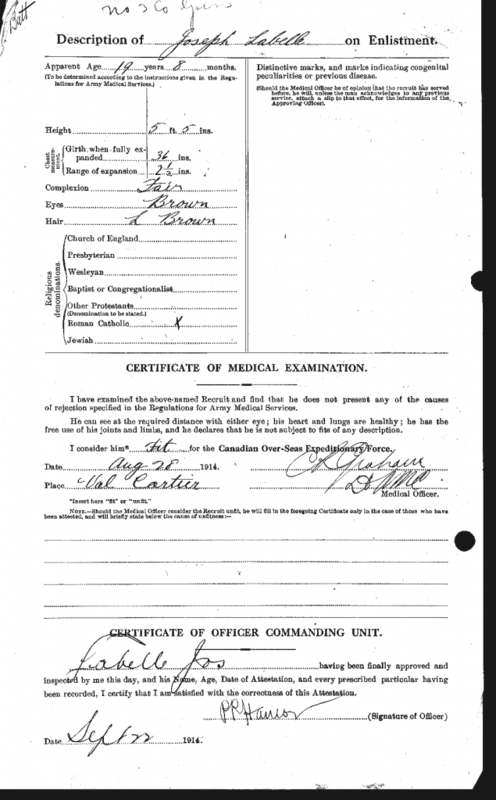 As May 2016 this officer’s service record file has not yet been digitized by Library and Archives Canada. However, at the current rate of progress in digitizing these World War I service records it could be late this autumn before the records for this officer are digitized and available on-line in PDF format. The family is encouraged to watch the VAC website where currently only the Attestation Paper is available. When the surviving record file is available a note “Digitised service file – PDF format B5273-S032” will appear on that screen and a “click” will open the file. The Service Sheet and the Casualty Form when read together should give a fairly detailed account of this soldiers time in the service. 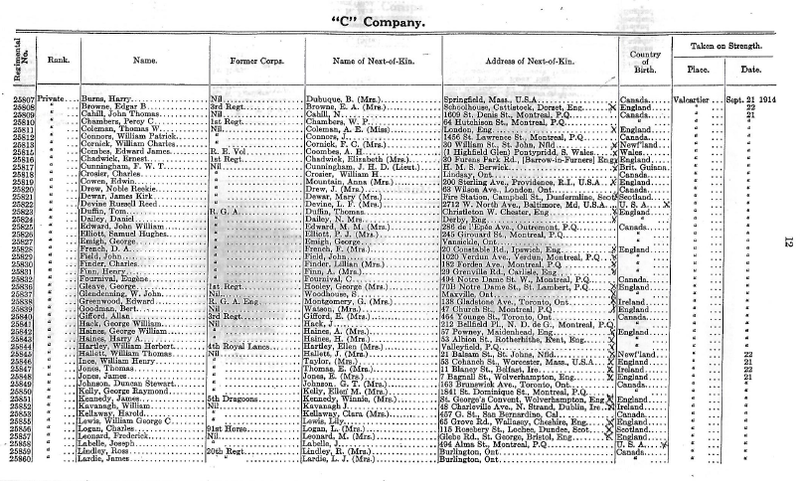 14th Battalion Canadian Expeditionary Force – Nominal Roll of Officers, Non-Commissioned Officers and Men (often referred to as the 1914 Establishment List and Shipping List). 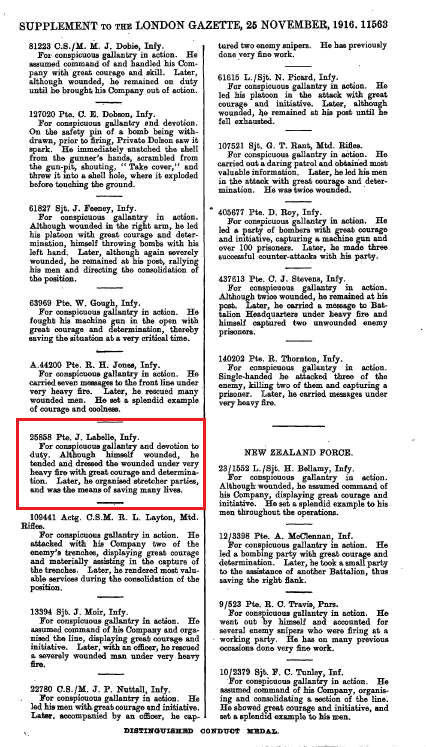 Joseph Labelle’s name appears on the third line from the bottom of this page 12. 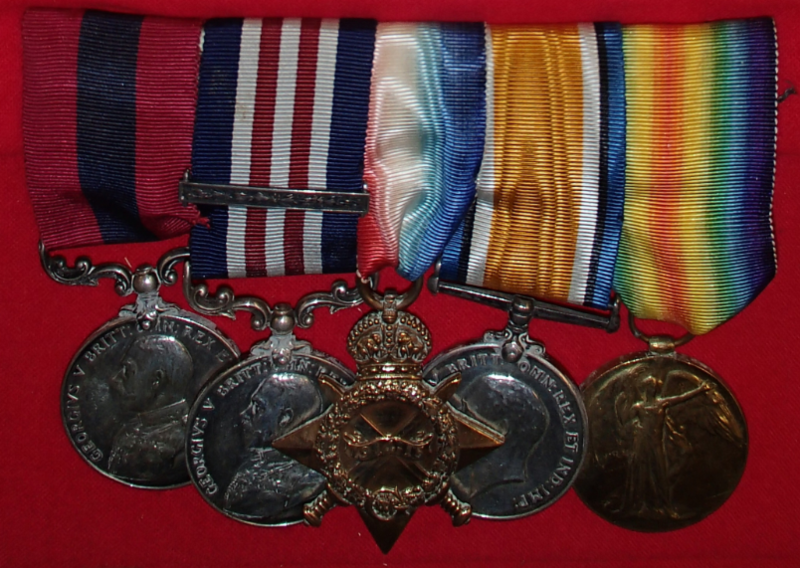 A brave man, he earned the Distinguished Conduct Medal for his service during the Battle of the Somme, as well as the Military Medal and bar (signifying that it was awarded twice) – in all decorated for bravery three times. Until this Soldier’s service record is available it is impossible to know when his action referred to in the citation actually took place. Once that is known one can read the Battalion War Diary for the relevant time period to see what was happening. 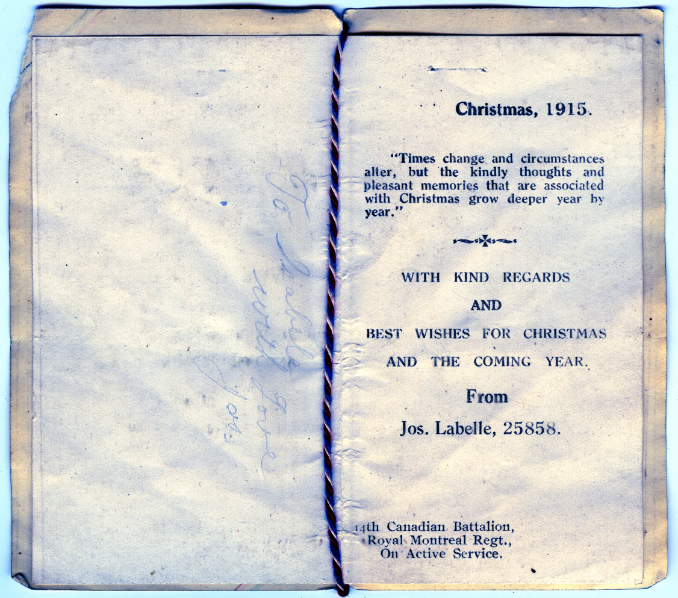 A copy of a Christmas card that Joseph Labelle sent home in 1915 is part of the RMR’s collection.